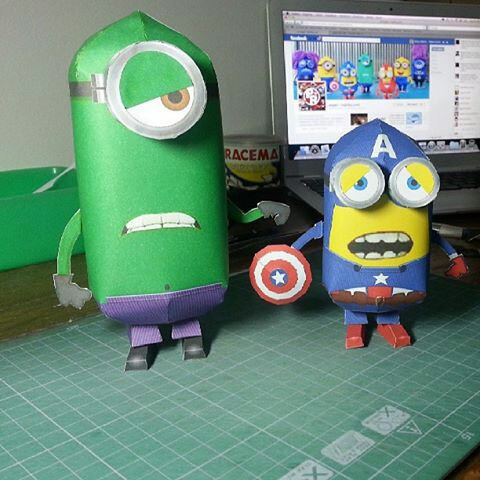 Hulk Minion Paper Craft	. Actually this template was submitted along with Iron Minion by Edgardo Rivera in December 2012. Because at that time there was no build photo available yet so I hold the template. There are many requests to release the hulk minion. so I finally published it at Paper Replika. I found out the hulk minion scale was not the same as the yellow minions scale, so I enlarge the template to match the yellow minions scale. 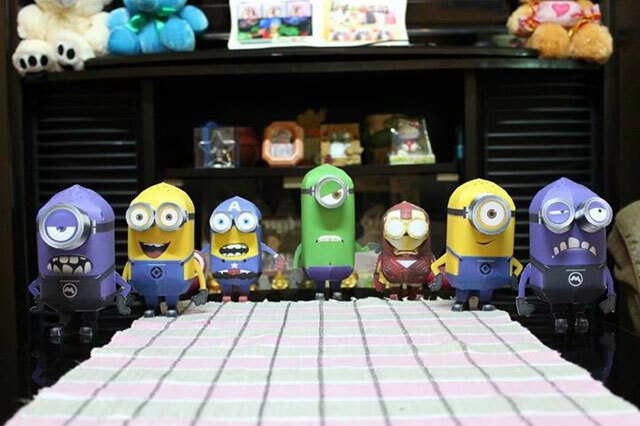 And I also found out that Iron Minion and Captain America also off-scale, so I will re-release that template soon. Photos by Carlos Alberto de Ponte and Rowell Ramirez.